"I have decided to stick with love, hate is too great a burden to bear." -Martin Luther King Jr. January 15th, a great man with a greater love was born. Focused, he lived with a purpose burning within him and a determination to fulfill his destiny. He had a dream. Unselfish, he gave his life knowing that it would propel and further that dream. "Greater love has no man than this, that he lay down his life for his friends". What manner of man was this? 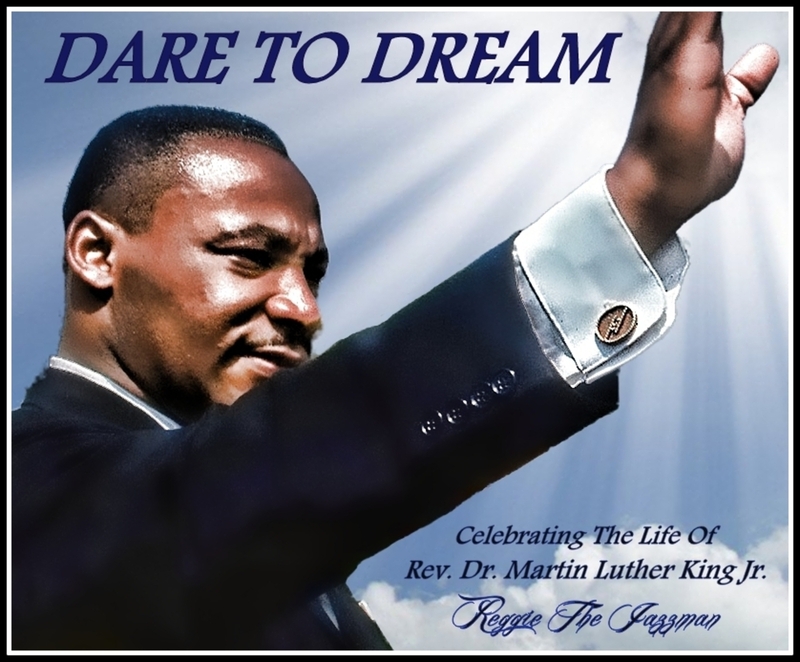 This mix recognizes the strength, courage, committment and the legacy of Dr. Martin Luther King Jr through spoken word, sound clips and song. When you listen, listen with an open mind and an open heart. During this mix, try to walk a few steps with Dr. King and recognize how he's influenced your life and touched the world. Dr. Martin Luther King Jr...thank you! The dream continues......... President Barack Obama is part of the dream fulfilled. After having served two terms, many of us are sad to see him go. Undeniably, we're privileged. We've lived and been a part of history, part of THE DREAM. Certainly, to say the least, Martin would have been proud and I'm sure, from his heavenly home, his light brightly shines. SPECIAL NOTES: While I was looking through my catalog for songs and song titles relevant to Martin Luther King Jr., I thought about the deep south where many of his battles were fought. Of course, three key cities involved in the civil rights movement were Selma, Montgomery and Birmingham. Along with marches and non-violent protests, Martin Luther King Jr. delivered some of his most memorable speeches in these locations. When I saw Eric's title 'Somewhere In Alabama', I was curious so I listened and instantly knew this was the song that I was searching for. Soulful, emotional and raw. Having familiarized myself with many of Martin's speeches, all that was left was to find a message that was moving, powerful and fitting. Eric's guitar work and lead in laid the foundation for Martin's delivery and as the song transitions, I carefully positioned Martin's prophetic speech. After listening to the final mix several times, I was left with an overwhelming feeling of awe of what's been accomplished and how far we still have to go. Eric after hearing the finished product was moved as well. Special thanks to Eric Essix, a Birmingham Alabama native who allowed me use of his tune.